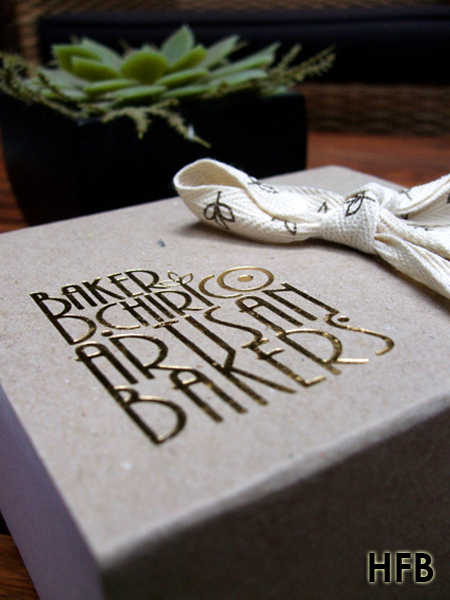 If Willy Wonka has his amazing chocolate factory, then Baker Daniel Chirico has his very own psychedelic wonderland bakery. 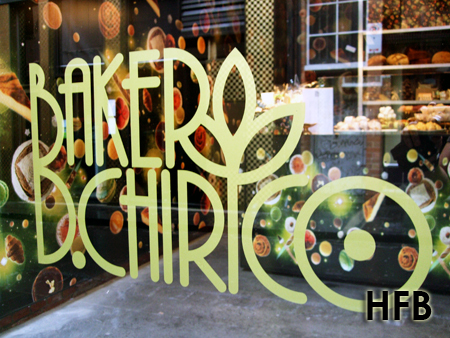 For those who don’t know, Baker D. Chirico (that’s also happens to be the name of the bakery) brings a chunk of his talent by docking quirky cosmic wallpaper all over his tiny shop located in Crossley Street, and along with his artisanal bread and delectable sweet treats, finds its way into the Melbourne’s finest restaurants. 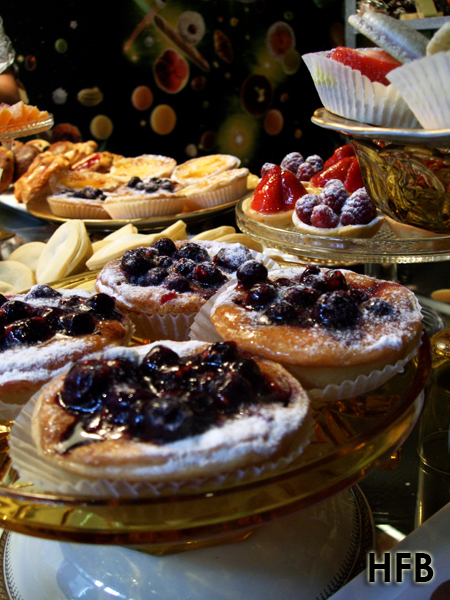 HFB isn’t exactly a pastry person, but even he was won over by the vivid sight he saw – décor and furbishing aside, he couldn’t resist the alluring spectacle of pastries and breads that greeted him. So in the midst of it all, he gave in to temptation (Oh no! Just like the naughty kids in Willy Wonka’s factory) and picked up a pair of Macaroons and a Bomboloni, or Italian filled donut ($8.20) for takeaways. 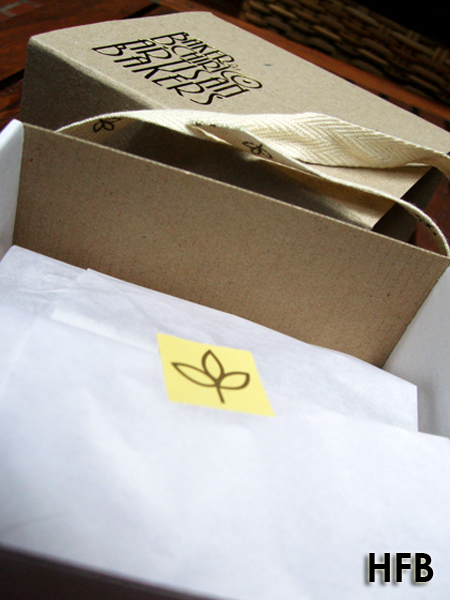 Pricey it might be, but its packaging speaks of beauty and tastefulness as with its contents. 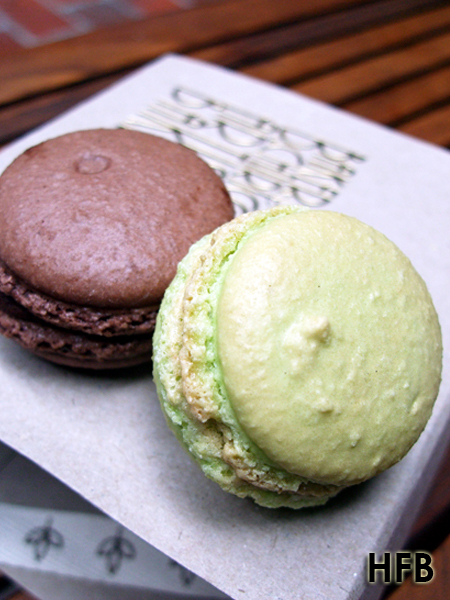 If the Chocolate Macaroon was good, the Pistachio adaptation was a notch better (barring my biasness for the nut). The meringue-like cookies were delicately light and fluffy, plus the butter cream filling fully flavoured (although HFB felt Ladurée Macaron he tried at Mitsukoshi, Ginza had a slight edge over). 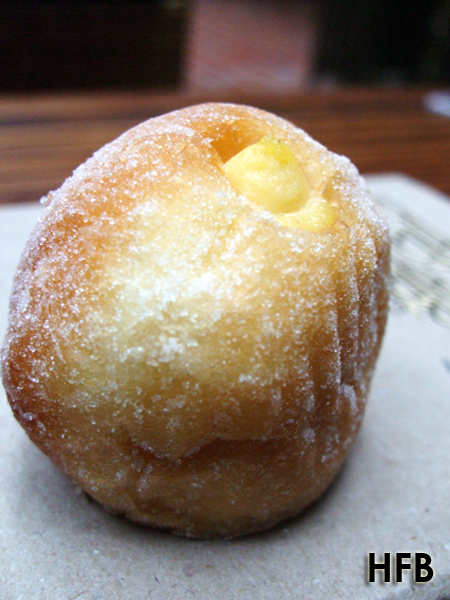 The bomboloni found in Baker D. Chirico is simply, pardon the pun, the BOMB – especially if you score early and they are freshly made and still hot. Although it wasn’t the case with HFB, the dough was still really soft and the custard-filling smack richness. 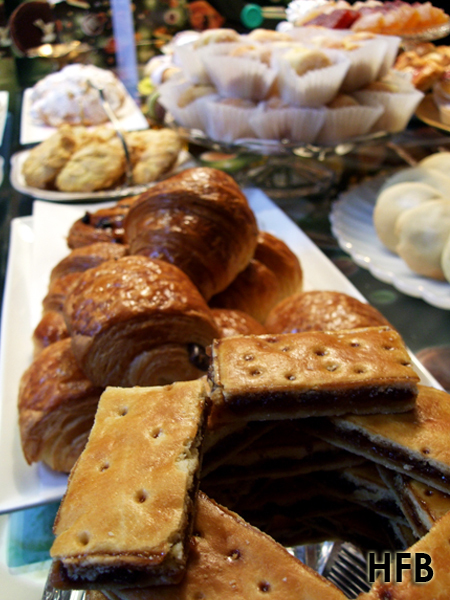 The bakery was indeed a delightful discovery for HFB, and how he wished they are found in his tiny island. 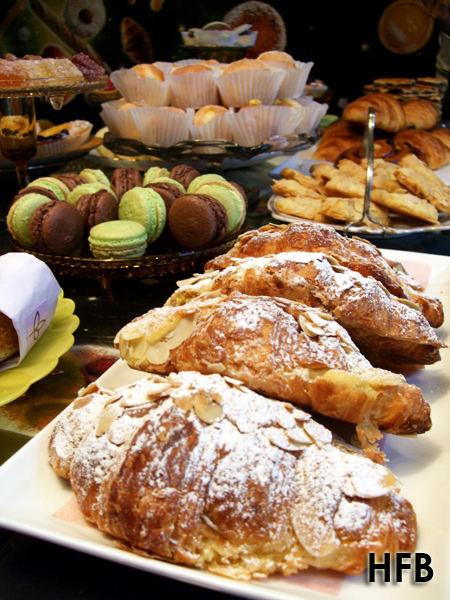 The pastries sure look pretty and delicious! Sounds yummy! I like Italian food but this one seems like a real feast. 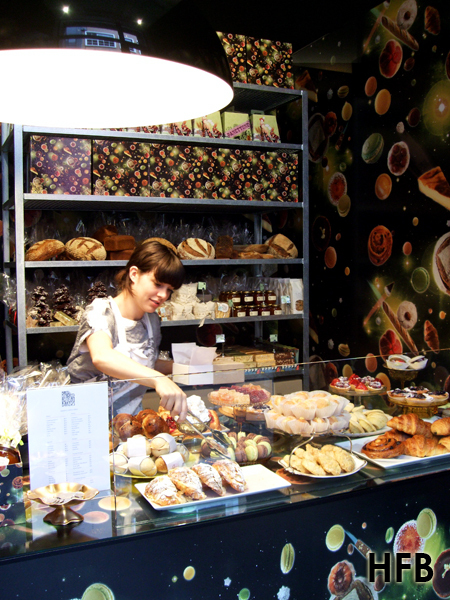 Man!, those breads and pastries looks tasty. If i could only get my hands on those! haha..